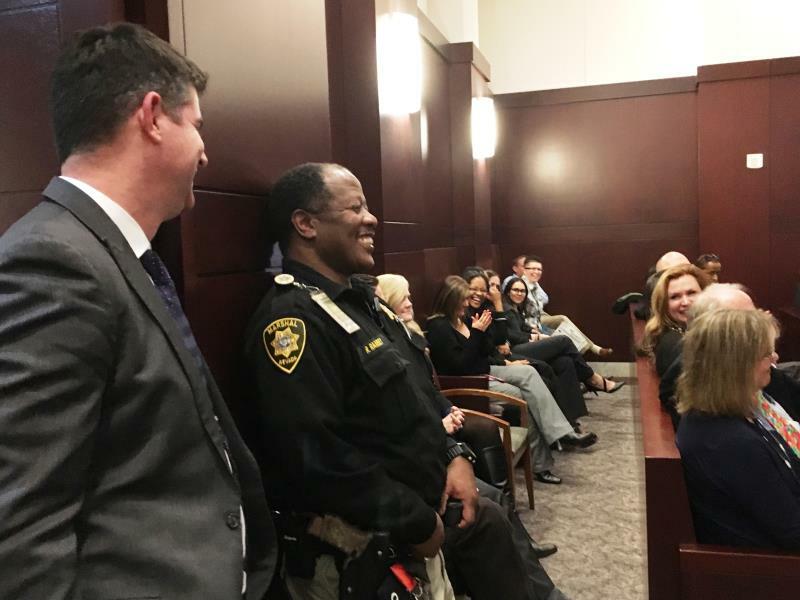 On January 2, when many people were still recovering from the New Year, Judge Jennifer Togliatti retired after 30 years of service to the community as a judge and as a Clark County Deputy District Attorney. 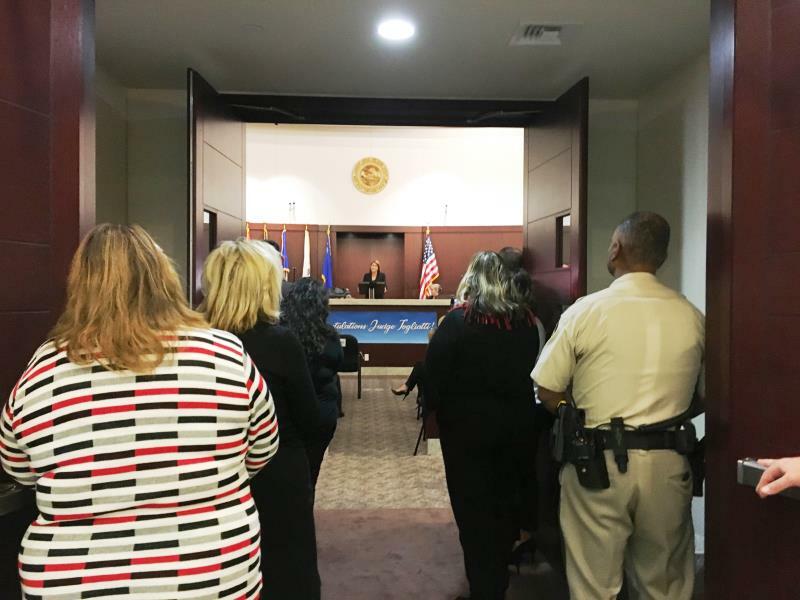 Despite the fact that many people were still in holiday mode, a large crowd gathered on the 17th floor of the Regional Justice Center to honor one of the legal community’s most respected as she retired from the bench. 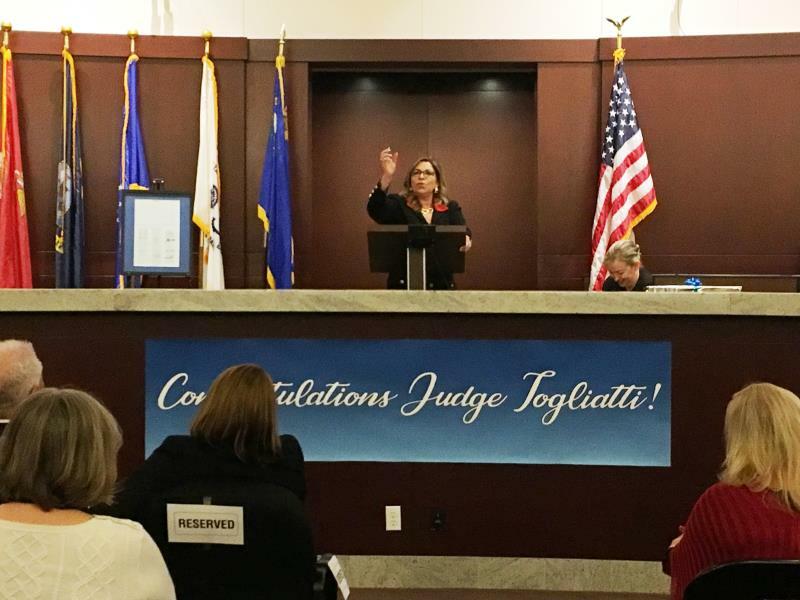 Judge Togliatti is known for her razor sharp wit and affable sense of humor and both were on display at her retirement celebration. Four speakers Nevada Supreme Court Justice Abbi Silver, District Court Chief Judge Linda Bell and Judge Art Ritchie Clark County Deputy District Attorney Christopher Lalli praised her accomplishments, lauded her temperament, gushed over her insight and willingness to help others and shared some laughs from the good old days. Judge Togliatti is known for her razor sharp wit and affable sense of humor; and both were on display at her retirement celebration. 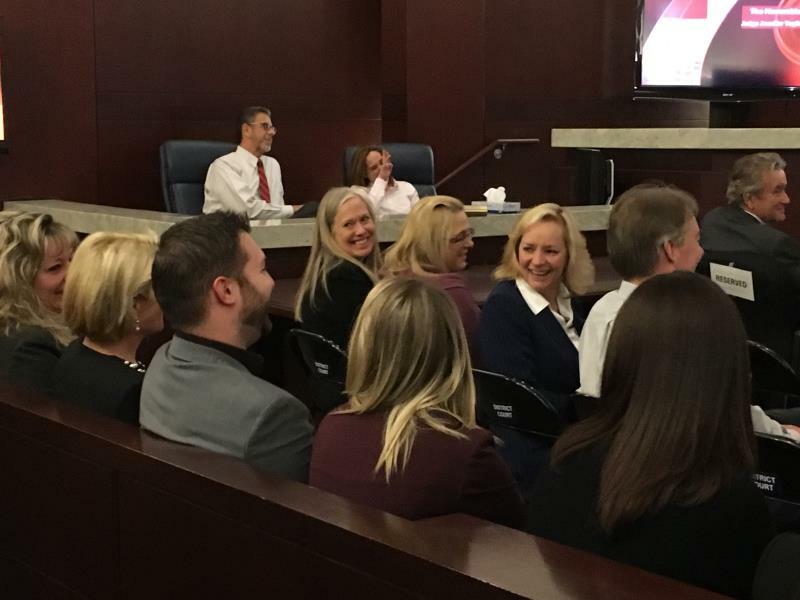 The farewell included a video that showed highlights from her tenure as chief judge, gifts from her colleagues, and a proclamation. Current Chief Judge Linda Bell remarked that Judge Togliatti even gets good comments on anonymous postings on blogs. 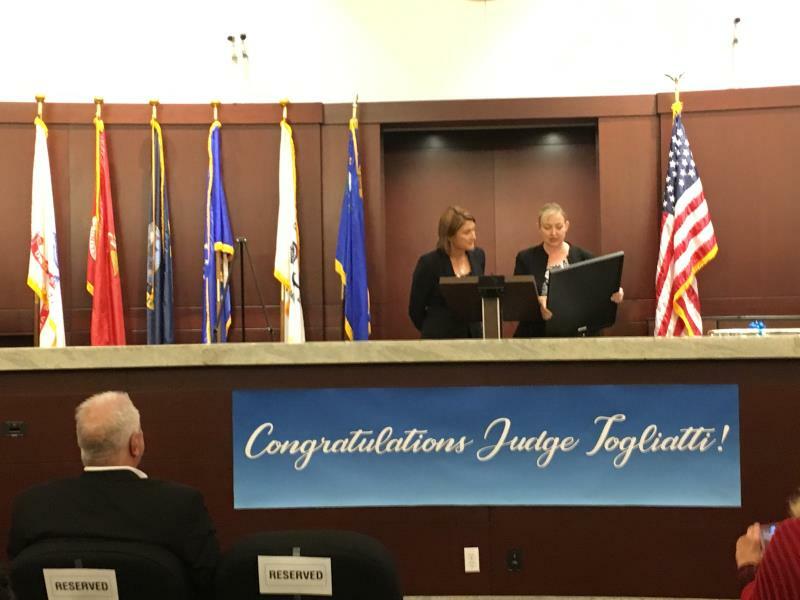 Judge Bell presented and read the proclamation that highlighted some of Judge Togliatti’s accomplishments including: her work from 1994 to 1998, in the Clark County District Attorney’s Criminal Division with the Crimes Against Women and Children’s Unit; her election to the Las Vegas Justice Court in 1998, where she also held the post of chief judge; her appointment by Governor Kenny Guinn to the Eighth Judicial District Court, Department IX, and her three subsequent re-elections without opposition. Judge Togliatti was twice unanimously selected to serve as Chief Judge for the Eighth Judicial District Court and gained a reputation as a transformative and innovative leader whose accomplishments included the modernization of the court’s administrative organization, improving access to justice through technology, managing the court in the face of budget cuts, and championing legislation that promoted and strengthened the judiciary. She took significant action to improve the security division through professional standards and best practices. 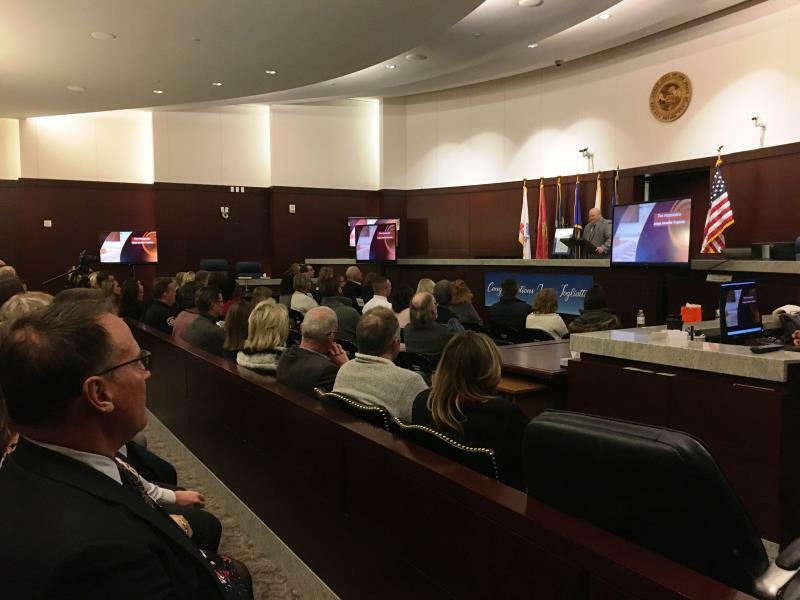 Judge Togliatti was one of four judges in 2017, who worked on a newly created special homicide team of judges to centralize management for homicide cases with the intent to improve efficiency and timely disposition of such cases. 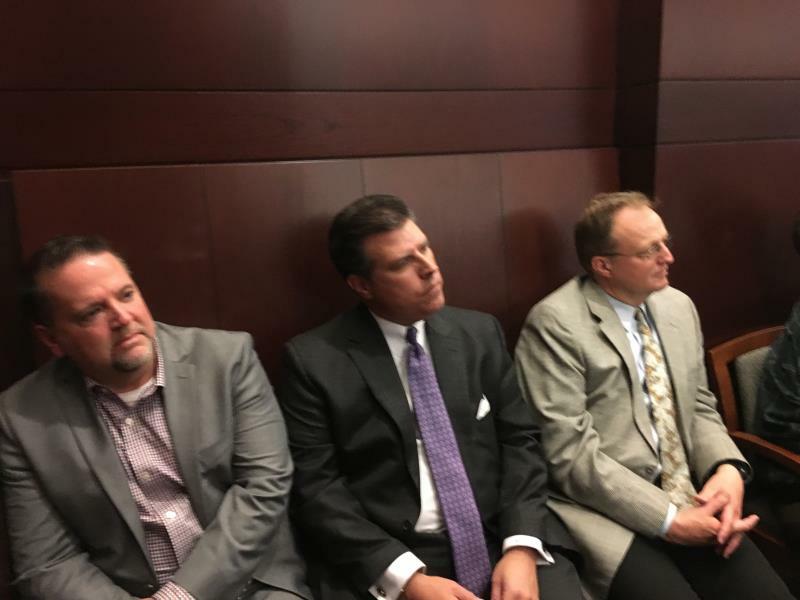 In just over a year, the team significantly reduced the number of bed-days in the Clark County Detention Center for defendants awaiting trial, which resulted in the savings of over $1 million of taxpayer money. 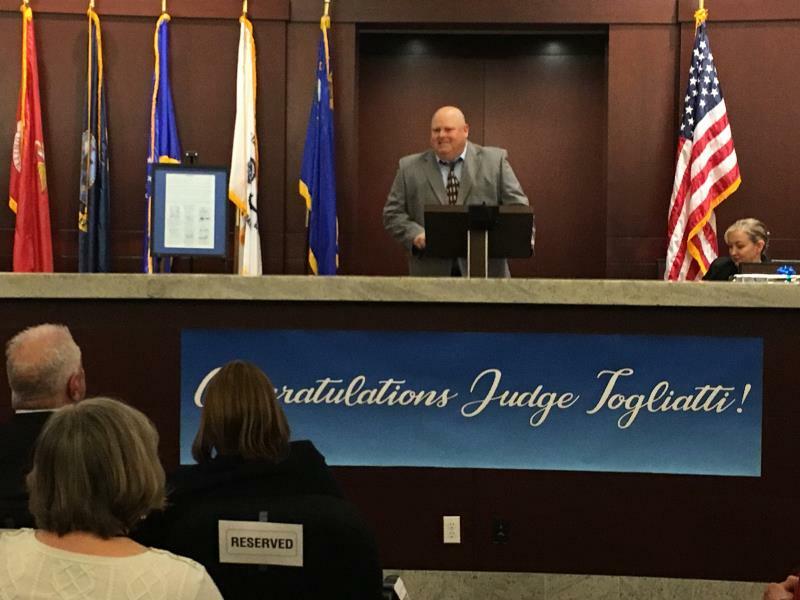 The proclamation also noted that Judge Togliatti has handled many of Clark County’s most high profile cases. She has established a reputation for her humility, good sense of humor, leadership, high intellect, and fair-minded adjudication in all matters before her. It also called attention to her unwavering commitment to her family, career and her country as an example for all.